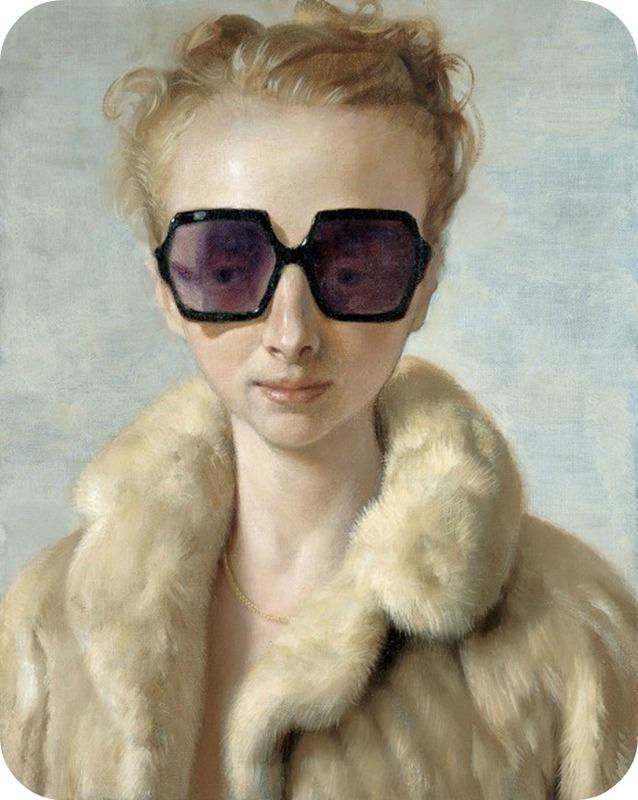 John Currin is a bit creepy at times, but this 2002 painting – which just so happens to be called Rachel in Fur, is pretty neat. Shame he spelt Rachael wrong – embarrassing! – but I’ll let him off. I found this picture in a very similar post to this one which I wrote years ago. As I mentioned, I’ve been uploading all sorts of old posts — which you can see on the right. Unfortunately I forgot I deleted my entire ~Photobucket~ so lots of the posts made no sense and were deleted. But some worked, eh, and you can see them in the archives. I feel that, I love the dweeb in the sunglasses.